Thunderstorms early, then cloudy skies after midnight. A few storms may be severe. Low 46F. Winds WSW at 10 to 20 mph. Chance of rain 100%..
Thunderstorms early, then cloudy skies after midnight. A few storms may be severe. Low 46F. Winds WSW at 10 to 20 mph. Chance of rain 100%. PENNY SIZE HAIL IS POSSIBLE WITH THIS STORM. EAST BRISTOL, MORRISONVILLE, DANVILLE AND TOKEN CREEK. 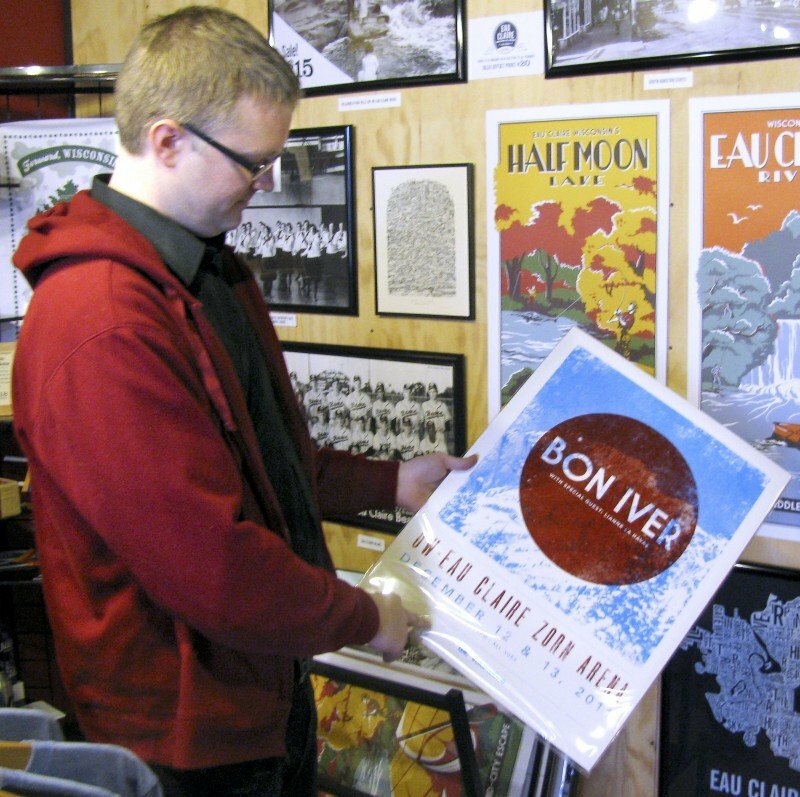 Nick Meyer, publisher of Volume One, the Eau Claire area’s music and arts publication, also owns a shop that sells items specific to Eau Claire and Wisconsin. His goods include Bon Iver music, T-shirts and concert posters in addition to music from dozens of other local musicians of all genres. Justine Vernon, Justin Vernon’s mother, says her son always has been passionate about music but also enjoyed playing in the woods and creek behind the family home in rural Eau Claire. Bruce Hering was Justin Vernon’s jazz ensemble director at Eau Claire Memorial High School. 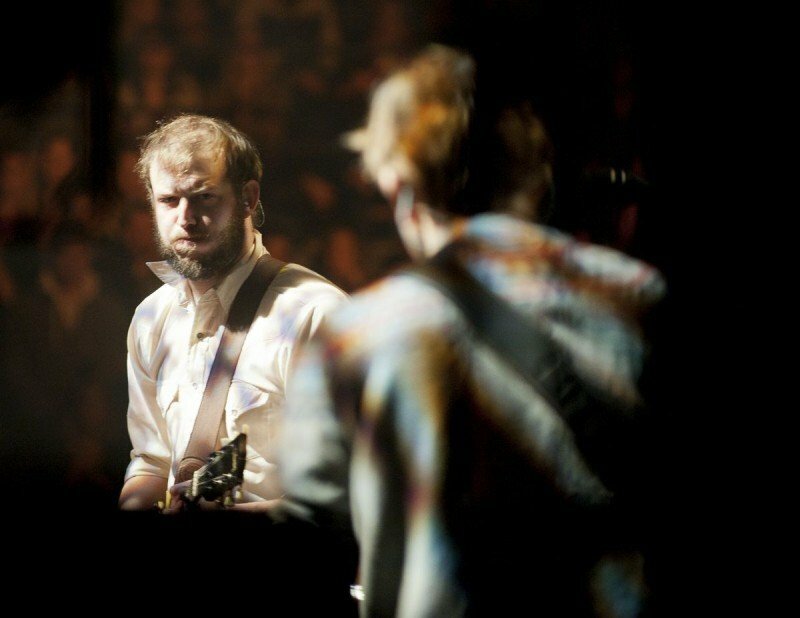 The local support for Justin Vernon and his band Bon Iver was evident in December when the band played two sold-out shows at Zorn Arena on the UW-Eau Claire campus. Vernon and his drummer, Sean Carey, grew up in Eau Claire and graduated from UW-Eau Claire. Justin Vernon poses backstage with the award for best alternative music album for "Bon Iver" at the 54th annual Grammy Awards on Feb. 12. This story first appeared in the Sunday edition of the Wisconsin State Journal. 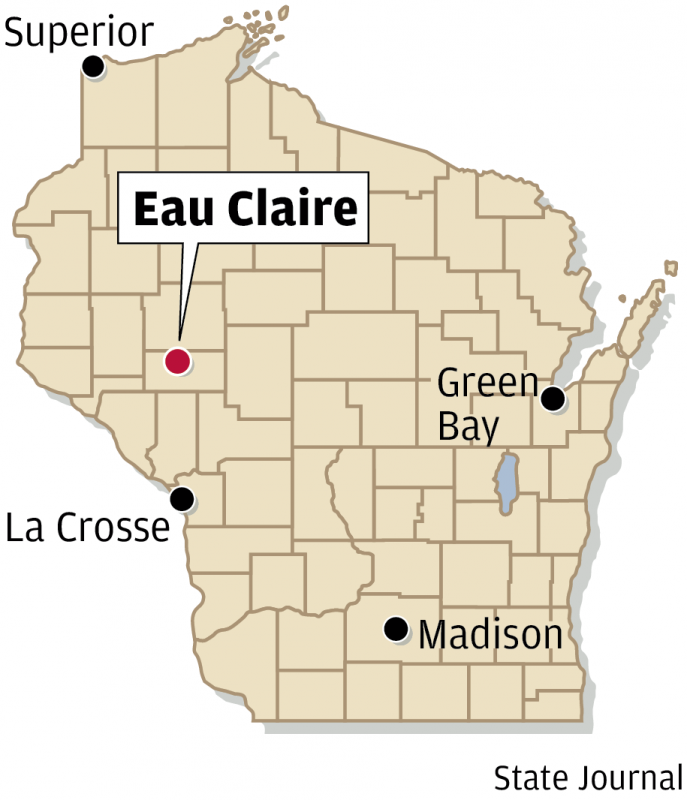 EAU CLAIRE — The journey of becoming a band parent began, for Justine Vernon, with piano lessons for her three children. One son, Justin, constantly offered push-back, so she and her husband agreed to let him switch to guitar. By middle school, Justin was writing his own lyrics, some etched permanently on the inside wall of a basement closet. He would later front bands with names like Skillet, Mount Vernon and DeYarmond Edison, his two middle names derived from the maiden names of his two grandmothers. And maybe that’s why Justin Vernon’s latest group, Bon Iver — a misspelled French phrase meaning “good winter” (and pronounced bone-eh’ vair) — has music fans around the globe talking, even if it’s difficult to understand his lyrics, sung falsetto. Two weeks ago, Bon Iver, which includes UW-Eau Claire graduate Sean Carey on drums, picked up two Grammy awards (it also had two other nominations), winning for best Alternative Music Album and Best New Artist, beating out the likes of Nicki Minaj and The Band Perry. Bon Iver made its “Saturday Night Live” debut on Feb. 4, while on the Feb. 18 show Justin Timberlake mocked Vernon’s singing and North Woods roots. Wisconsin has produced rockers like the BoDeans, Violent Femmes and Steve Miller. We also lay claim to Al Jarreau, pianist Liberace and polka legend Verne Meisner. The success of Vernon and his bandmates, now on tour in Australia and New Zealand, including three sold-out shows at the Sydney Opera House, has been a bit surreal. But the reward for Vernon is no surprise for many in this city of about 65,000 people in northwest Wisconsin. Eau Claire may be located north of Highway 10, but it is home to one of the strongest and most diverse music scenes in the country, though it’s almost invisible to music critics in Milwaukee and Madison. The jazz bands at the city’s two public high schools are nationally recognized. In May, the North High School Jazz Band, directed by Hering, will compete at the Essentially Ellington Competition & Festival in New York City, considered the Super Bowl of jazz. It will mark the eighth appearance (Vernon was a member of the 1999 trip) at the exclusive, invitation-only festival for the two jazz bands. The UW-Eau Claire jazz band was nominated for Grammys over the years and is directed by Robert Baca, a trumpet player who has toured with Frank Sinatra, Buddy Rich, Tony Bennett and Mel Torme. The Chippewa Valley Symphony, led by maestro Nobuyoshi “Nobu” Yasuda, was founded in 1975 and last year began its own youth summer music camp. On March 10, the symphony will showcase Gina Cruciani, 18, a soprano from Memorial High School, while the Chippewa Valley Youth Symphony will embark on a bus tour this spring to provide rural outreach. Downtown Eau Claire has dance studios, places for guitar lessons and even a store that sells used vinyl albums. Other places include the State Theater at the Eau Claire Regional Art Center, the Gantner Concert Hall at UW-Eau Claire, the Acoustic Café and a bar called the House of Rock. In the summer, Phoenix Park hosts a concert series featuring 39 local artists over 13 weeks. Meyer is a huge backer of the local music scene. His company sponsors the Phoenix Park concert series and has a small store that sells music from dozens of local musicians in a variety of genres. Vernon now is on an international stage, but he remains a Wisconsin guy. He recorded his first album, “For Emma, Forever Ago,” at his family’s cabin north of Menomonie in 2007. The 80-acre property was purchased more than 30 years ago by his father, Gil, an arbitrator who settles labor disputes for the airline industry and professional sports. The land includes a sawmill, shack to process maple syrup and one-room contemplation cabins for each of his children. Justin Vernon, 30, now has his own recording studio. But instead of building it in Minneapolis or in a historic building in downtown Eau Claire, Vernon and his brother Nate chose a former veterinary clinic in nearby rural Fall Creek. But Vernon didn’t graduate in 2004 with a music degree. Instead, it was in religious studies. Charlene Burns, one of his professors and his adviser, said Vernon is someone moved by the suffering of people and “the world of religion resonated for him.” Naturally, those feelings carry over into his music. Barry Adams covers regional news for the State Journal. Send him ideas for On Wisconsin at 608-252-6148 or by email at badams@madison.com.